"Kammarton Bulgaria" is an exclusive representative of the leader in the electric industry "Milwaukee". 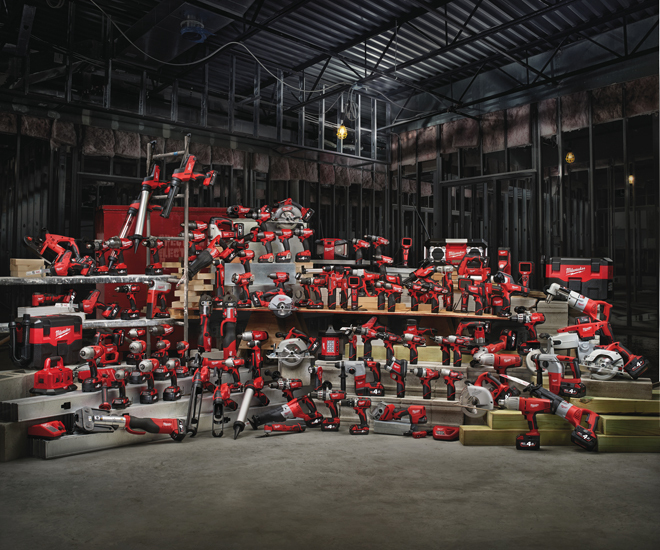 Milwaukee Electric Tool Corporation is an industry - leading manufacturer and marketer of heavy-duty, portable electric power tools and accessories for professional users worldwide. The extensive range offers over 500 different models of various power tools - jigsaws, circular saws, screwdrivers, rotary and demolition hammers, impact drills, grinding and polishing machines, measuring equipment and products for special applications. In addition, the company offers over 3,500 accessories and consumables. Quality is the highest priority. Starting with an understanding of the professional power tool user’s needs, quality is shaped through the design of superior products, components and processes and is extended through the use of high grade materials, supplies and stringent in-house/field testing. Since its founding in 1924, USA, Milwaukee Electric Tool has been an industry leader in power tool innovation. Milwaukee innovative products are presented with a series M12 and M18 - cordless power tools that are precisely engineered to deliver a power, a speed and a durability required for different applications. For more information: CATALOGUE and ordering in Kammarton Bulgaria. We also have a demo machines to help you in products demonstrating for sale. The machines have a 3 year warranty.